CinemaCon, Las Vegas, Nevada – April 24, 2018 – With Cineworld Group acquiring movie chains at a breakneck pace, the exhibitor is now focused on partnering with a premier cinema solutions provider to deliver unforgettable movie experiences. Cinionic, the Barco cinema joint venture, is the company of choice, offering the industry’s best and brightest projectors. In addition to the 7,300+ screens in 43 U.S. states it acquired through Regal, Cineworld leads the movie exhibition industry with a globally diversified offering in the United Kingdom, Ireland, Poland, the Czech Republic, Slovakia, Hungary, Bulgaria, Romania and Israel. 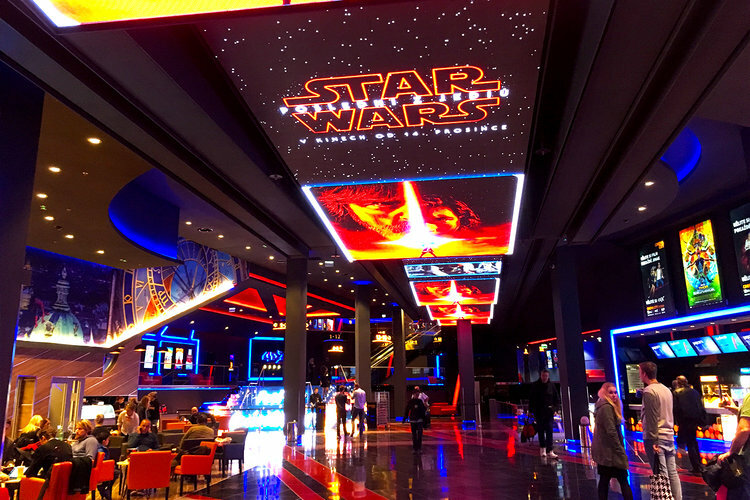 Over the next three years, the exhibitor will deploy 600 laser projectors – for both new builds and to replace older models in existing sites – selecting from among Barco’s expansive portfolio of 18 models, to ensure the perfect match for every screen.